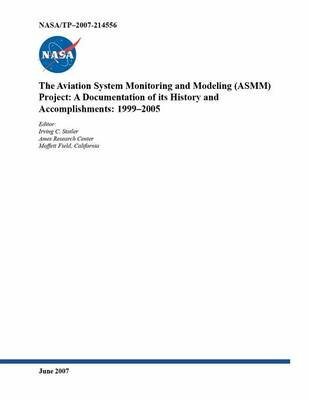 The Aviation System Monitoring and Modeling (ASMM) Project was one of the projects within NASA s Aviation Safety Program from 1999 through 2005. The objective of theASMMProject was to develop the technologies to enable the aviation industry to undertake a proactive approach to the management of its system-wide safety risks. TheASMMProject entailed four interdependent elements: (1) Data Analysis Tools Development - develop tools to convert numerical and textual data into information; (2) Intramural Monitoring - test and evaluate the data analysis tools in operational environments; (3) Extramural Monitoring - gain insight into the aviation system performance by surveying its front-line operators; and (4) Modeling and Simulations - provide reliable predictions of the system-wide hazards, their causal factors, and their operational risks that may result from the introduction of new technologies, new procedures, or new operational concepts. This report is a documentation of the history of this highly successful project and of its many accomplishments and contributions to improved safety of the aviation system.